All About Korean Entertainments And Culture: Galaxy S7 and Galaxy S7 Edge are selling relatively well in South Korea. Galaxy S7 and Galaxy S7 Edge are selling relatively well in South Korea. 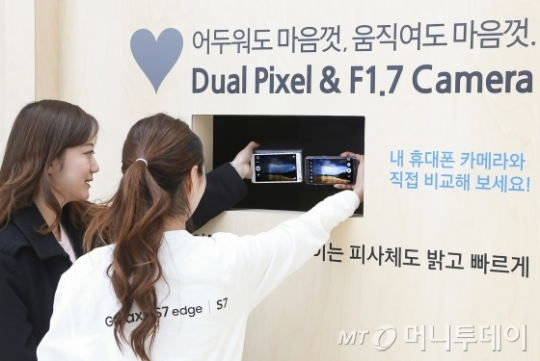 Combined sales of Samsung Galaxy S7 and the Galaxy S7 edge reached more than 100,000 units within the first two days of its official launch in South Korea. According to the outlets, Sales of the Galaxy S7 and Galaxy S7 Edge reached a combined 60,000 on Friday and 40,000 on Saturday after the smartphones hit South Korean market on Friday. The initial pace of sales is roughly on par with demand generated when the Galaxy S6 series phones reached the market last year. The Galaxy S7 Edge accounted for some 40 per cent of the two-day sales. 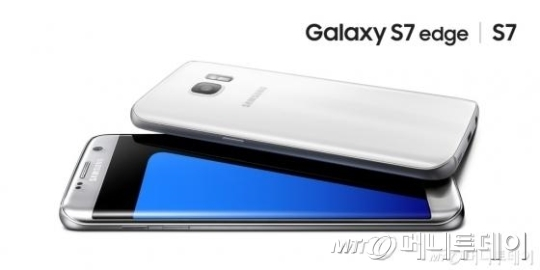 A industry official said, "Unlike Galaxy S6, S6 edge launch, Galaxy S7, S7 edge customers see the actual product in 2,000 stores nationwide before they buy it." "Samsung Electronics recently opened S7, S7-edge large-scale experience center at Yeongdeungpo Times Square and showcased the Galaxy club which is Samsung's first rental phone service to boost sales," he added.